A. All materials contained on the Web Site are Copyright April 22, 1999, 2002, and 2016, Skybolt. All rights reserved. B. No person is authorized to use, copy or distribute any portion the Web Site including related graphics or its functionality. C. Skybolt and other trademarks and/or service marks (including logos and designs) found on the Web Site are trademarks/service marks that identify Skybolt and the goods and/or services provided by Skybolt. Such marks may not be used under any circumstances without the prior written authorization of Skybolt. D. You agree not to reproduce, duplicate, copy, sell, resell or exploit any portion of the Service, use of the Service, or access to the Service or any contact on the website through which the service is provided, without express written permission by us. Skybolt may provide hyperlinks to third-party web sites as a convenience to users of the Web Site. Skybolt does not control third-party web sites and is not responsible for the contents of any linked-to, third-party web sites or any hyperlink in a linked-to web site. Skybolt does not endorse, recommend or approve any third-party web site hyperlinked from the Web Site. Skybolt will have no liability to any entity for the content or use of the content available through such hyperlink. The information and materials on the Web Site could include technical inaccuracies or typographical errors. Changes are periodically made to the information contained herein. Skybolt MAKES NO REPRESENTATIONS OR WARRANTIES WITH RESPECT TO ANY INFORMATION, MATERIALS OR GRAPHICS ON THE WEB SITE, ALL OF WHICH IS PROVIDED ON A STRICTLY “AS IS” BASIS, WITHOUT WARRANTY OF ANY KIND AND HEREBY EXPRESSLY DISCLAIMS ALL WARRANTIES WITH REGARD TO ANY INFORMATION, MATERIALS OR GRAPHICS ON THE WEB SITE, INCLUDING ALL IMPLIED WARRANTIES OF MERCHANTABILITY, FITNESS FOR A PARTICULAR PURPOSE AND NON-INFRINGEMENT. UNDER NO CIRCUMSTANCES SHALL THE SITE OWNER OR PUBLISHER BE LIABLE UNDER ANY THEORY OF RECOVERY, AT LAW OR IN EQUITY, FOR ANY DAMAGES, INCLUDING WITHOUT LIMITATION, SPECIAL, DIRECT, INCIDENTAL, CONSEQUENTIAL OR PUNITIVE DAMAGES (INCLUDING, BUT NOT LIMITED TO LOSS OF USE OR LOST PROFITS), ARISING OUT OF OR IN ANY MANNER CONNECTED WITH THE USE OF INFORMATION OR SERVICES, OR THE FAILURE TO PROVIDE INFORMATION OR SERVICES, FROM THE WEB SITE. 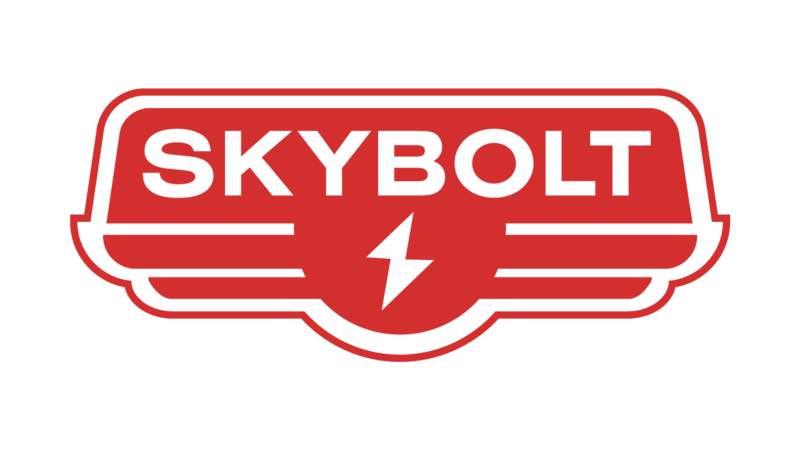 The agency using the Skybolt program agrees not to disclose any functionality or proprietary information to any third party who may compete against Skybolt either directly or indirectly. Skybolt.net provides content hosting and communication services to actors, models, voice-over actors and other artists, connecting talent with agents and managers, casting directors, and other professionals rendering services in motion picture, theatrical, radio, television and other entertainment enterprises. Skybolt.net is designed so that only your agent may be allowed to review your personal information and to contact you through Skybolt.net. By registering you will be creating a profile which will be accessible on Skybolt.net. Personal contact and address information is only accessible by your agent. Images, video, resume, and size info may be made available to anyone your agency chooses. You understand that you are affirmatively choosing to provide and post personal information about yourself including, but not limited to, images, video, audio, your real and/or stage name, sizes and stats, skills, gender, ethnical appearance, address, and phone number. You further acknowledge and agree that with the exception of personal contact information your profile may be accessible to anyone your agent chooses. Skybolt.net will not be held responsible for how those images, video, audio, etc. may be used. We are very concerned about the safety and privacy of all of our members, particularly individuals under the age of 18. We do not knowingly collect personal information directly from children under the age of 14, nor do we allow users between 14 and 17 to directly establish their own Profiles on the Sites. Users between 14 and 17 may only open an account or create a Profile if they are represented by an adult agent or other authorized Talent Representative, or by a parent or legal guardian who has registered on their behalf and who maintains the Profile on their behalf. We reserve the right at any time to require verification of a Registering Adult and evidence of the Registering Adult’s relationship with any Minor. If we become aware that an account has been established for a Minor without a Registering Adult’s permission and supervision, we will take steps to terminate the account and remove any corresponding information. When you register for an account and create a Skybolt account, you or your authorized Talent Representative or Registering Adult may provide certain non-public information to create your Profile or provide billing information. For security purposes, we ask that you do not enter financial information into your Profile except in the fields provided for that information and advise that you do not put sensitive information such as social security numbers, national identification numbers, or any state, or other local identification numbers in your profile. You may give us your personal information so we can send you communications you request. You may opt out by emailing us at [email protected] or by using our online contact form. Skybolt.net reserves the right to remove any images, video, or content that may be offensive or in bad taste based solely on the Skybolt managements discretion. There is no expectation of privacy when posting content. We have no control over who your Talent Agency may send your profile too or how those recipients may use those images, videos, etc. When you provide us with your information when you sign up for our services including an email address or telephone number you agree that this action constitutes a purchase or inquiry establishing a business relationship with us. You expressly consent to our communicating with you about our services using the contact information you provided to us. You also attest that you have the legal authority over any telephone number you provide to us and can provide us with the authorization to contact you. This means we may contact you by recorded message, by e-mail, telephone and/or mobile telephone number, text (SMS) message, or any other means of communication that your wireless or other telecommunications device may be capable of receiving. Skybolt.net is designed to only allow your agent to view your personal contact information. Your images, resume, media, and size information may be shared with anyone your agency submits your profile to. This may be casting directors, photographers, or any decision maker looking to book you for work. Submissions by your agent that include your profile or guest access to your profile we expect are legitimate industry professionals, but we do not do background checks on who receives those profiles and cannot guarantee who might gain access to them and we have no control over how those users may use your images or media.. Therefore, there is no expectation of privacy when posting, or otherwise participating in Skybolt.net. Only your agent however is authorized to have access to your personal contact information. You may change or cancel your account at any time. We have the right, but not the obligation, to monitor any activity and content associated with Skybolt. We reserve the right to take action in connection with any content we deem to be inappropriate. Information may be disclosed to process credit card transactions. In this case, established third party banking processing agents and distribution institutions handle these transactions. They use the information to verify and authorize your credit card or other payment information and to process your order. In addition, we may disclose Information to third parties to verify the authenticity of any financial transaction involving our company or its subsidiaries or to update your billing information. We want to make reasonable efforts to ensure that the information we keep for you is accurate and complete. Subject to our right to verify your authorization to change an account, you have the right at any time to access, review, update, or change your account Profile. You should promptly update your personal information if it changes or becomes inaccurate. Registered members can review and change personal information at any time by accessing their accounts. If for any reason you are concerned that the personal information you provided to us is not correct and you cannot change it by accessing your account, contact us at [email protected] We may retain some information from closed accounts so that we can comply with law, prevent fraud, assist with investigations, resolve disputes, analyze or troubleshoot programs, enforce our Terms, or take other actions permitted by law. Likewise if your account or membership is terminated or suspended, we may maintain some information to prevent re-registration. Please use the Help Center at the bottom right of each page to notify us of your agency change. Be sure you have first notified the agent you are leaving then let us know who your new agency is. You may cancel your account at any time by using the “cancel” links on your page. There is one in the info section when in edit mode and another in Account settings / Billing. You may also contact through the Help Center. It is your responsibility to cancel your account not your agents. Please be sure to include your name and the agent you are with. You will be responsible for the month that you are in and we will not refund partial months. If you paid for the year we will refund the unused portion of your membership to the nearest month. You must contact us for a refund from annual billing. Your billing information will be deleted however your Skybolt profile will be archived and removed from your agent’s roster. You may not opt-out of administrative e-mails (e.g. e-mails about your transactions or policy changes) for your account. Skybolt.net credit card transactions are processed through a third party merchant. To maintain security of your credit card information transactions are placed through SSL encryption. Since no security system can be 100% secure; accordingly, we cannot guarantee the security of any information provided to us in connection with the information that we collect.